The news comes after fans and groups had called for the series' renewal, praising the show's representation of a Latino family. 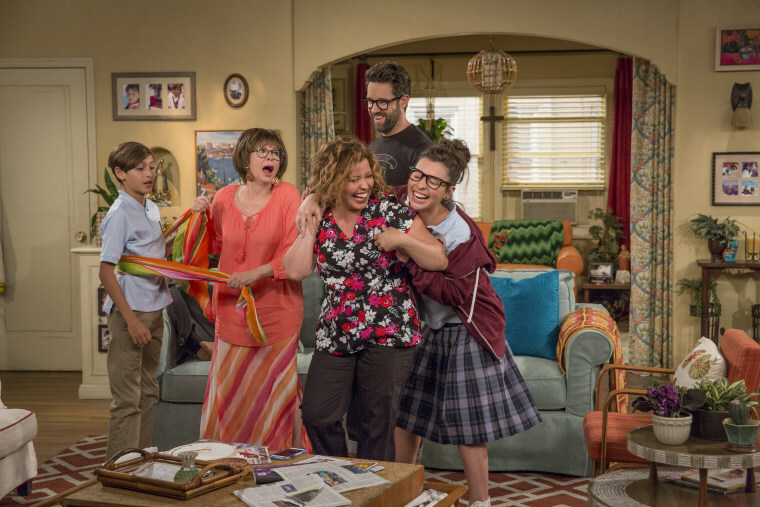 LOS ANGELES — "One Day at a Time" has been renewed for Season 3 at Netflix. The series follows three generations of a Cuban-American family. A newly-single mom and military veteran (Machado) journeys through the triumphs and tribulations that come with raising two strong-willed, mega-millennial children (Gomez, Ruiz), all the while enlisting the "help" of her old-school mother (Moreno) and her building manager-turned-invaluable confidante (Grinnell). Fans of the series began a social media campaign calling for a third season after the second season bowed. Variety's Maureen Ryan joined the call for the series renewal, writing in her column "Why Netflix Should Renew 'One Day at a Time:'"
"It's one of TV's best shows, without question, and most of my peers appear to agree. In a world in which critics and TV reporters barely have time to keep up with the flood of new shows, many TV writers took time out of their busy schedules to write about 'One Day at a Time's' return — and those same writers would no doubt set the internet aflame if Netflix kicked it to the curb.